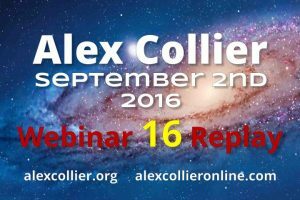 Alex Collier was live via video stream on September 2, 2016. His Sixteenth 90 minute LIVE webinar including more than thirty minutes of questions and answers. Hosted by James Harkin from AlexCollier.org and JayPee from WolfSpirit.tv (a subsidiary of WolfSpiritRadio.com) Alex presented some great insight into what is happening in this world and beyond. The webinar was hosted on Friday September 2, 2016 at 2pm EDT. 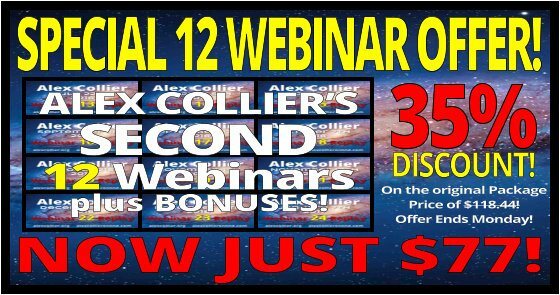 Alex Collier discusses many topics in this webinar including: The state of the world, politics, dreams, mentoring, young people, the soul, the regressive groups, the annunaki, NASA, space signals, timelines, the awakening process, the intention of humanity, the intention of yourselves, how negatives can become positives, break away civilisations, the space program, the military industrial complex stealing the planet, fourth density, and the throw-away technology that the aliens gave our space programs.